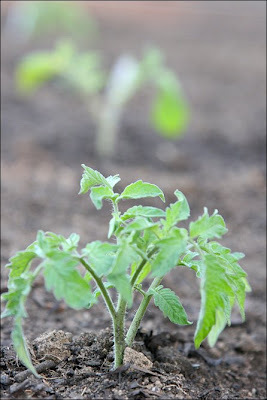 Tomatoes and Peppers go in the ground. 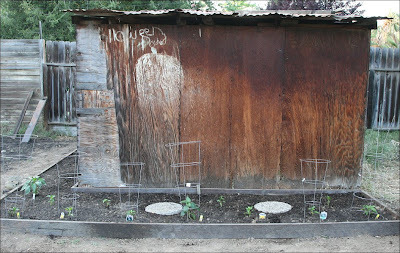 Also, there are pole beans behind the peppers to climb up the shed wall. Great look! They are up even more now. Now if we could get the weather to cooperate. 104 degrees in May, yes that is a record.